Travelers interested in history, culture and architecture will enjoy a wide selection of plantation "great houses" in Barbados. Tours provide excellent insight into the life and times of the island's early settlers. 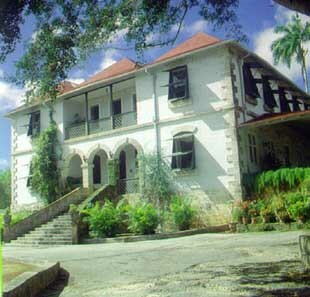 Every Wednesday from mid-January to mid-April, The Barbados National Trust offers an open-house program where both historical and modern private homes are open for public viewing. St. George - Built in 1913, this elegant plantation house is set on a wooded hillside with terraced gardens. 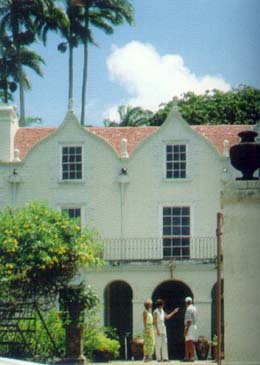 Francia Plantation was built by a successful Brazilian farmer of French descent who married a Barbadian woman. The eclectic house combines Barbadian coral stone craftsmanship, Brazilian wood paneling, and an unusual entrance portico. Francia also boasts a magnificent collection of antique West Indian maps. St. Peter - Erected in 1650, this is one of only three houses of Jacobean architecture still standing in the Western Hemisphere. It was the home of a prominent farmer and has no religious connection with St. Nicholas or any religious order. St. Nicholas Abbey has Dutch gables and finals of coral stone, syrup plant and a herb garden reflecting an ancient medieval design. St. John - The first and only exclusive, intimate luxury country hotel in Barbados, Villa Nova was originally built in 1834 as home to Sir Anthony Eden, former British Prime Minister, and is considered to be one of Barbados' best examples of a 19th-century plantation house. Embedded in 14 acres of lush tropical park, Villa Nova offers 17 junior suites, 11 one-bedroom suites, two excellent restaurants and other fine amenities. Villa Nova brings the colonial style of a bygone era back to life. St. Phillip - This 300-year old home has been painstakingly restored and refurbished after a fire in 1995. Featuring exquisite furnishings, objects d'art and rare Caribbean collectibles donated by numerous patrons, the house has been returned to its original grandeur. The two-and-a-half-foot-thick walls of the house date back to the 1660s. Flint and other hard stones not indigenous to Barbados were brought over from England and used to construct the plantation walls. Barbados is the most easterly of the Caribbean islands and boasts tropical weather year-round. Visitors to barbados come for its natural and historic attractions, beaches, watersports, golf courses, fine dining and nightlife. 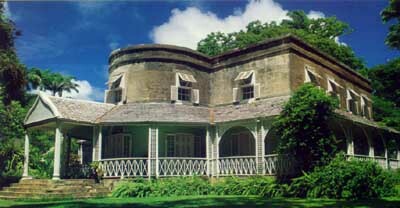 For further information on touring historical great houses contact the Barbados National Trust at 246-426-2421.